I really love hearing from my “old” readers from time to time. 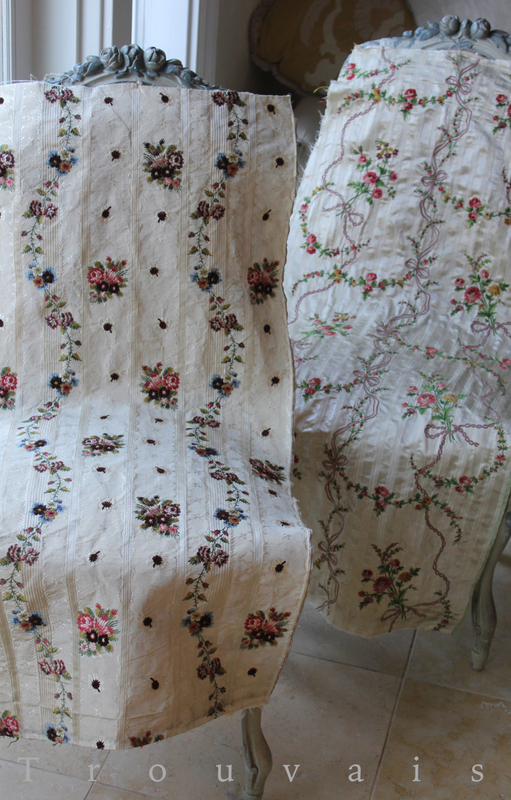 About 18th c shoes that they collect, or whether eight men would be enough to move a concrete table that looks just like mine, or how to strip color out of a Bella Notte duvet. Karin of La Pouyette, an antique dealer for over 30 years and long time blogging friend, has been pushing me to come back to blogging. So…thanks to Karin, I’m back to say hi and play around with what strikes me as pretty or interesting these days. 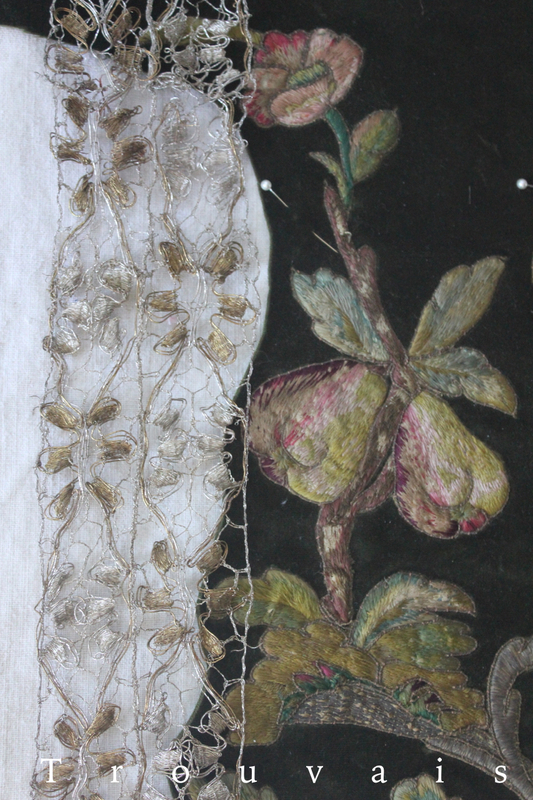 As you know…I love 18th c and earlier textiles. 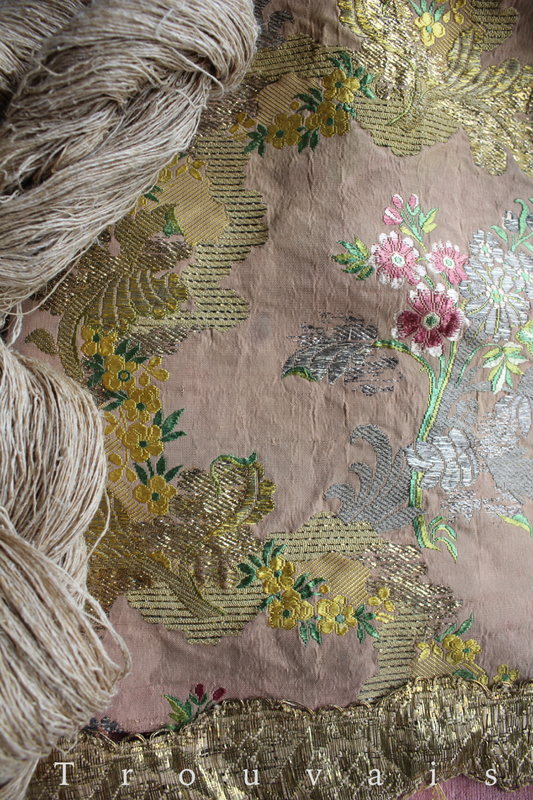 By the mid 19th c chemicals where being used to add weight to silks (which, incidentally, were sold by weight) and the advent of the sewing machine made hand-stitched seams unnecessary and looms became wider and more mechanized. Early silks were untainted by the harsh efficiencies of the modern age, and in my mind, vastly more beautiful. 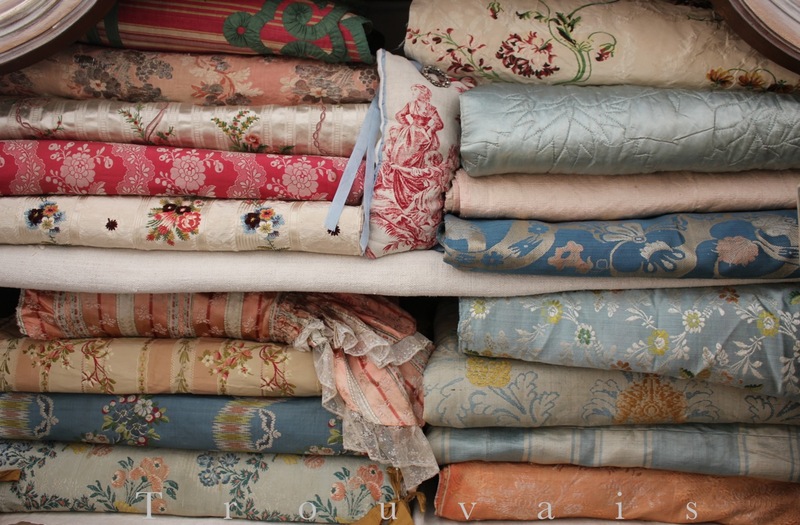 My collection of 18th century silks has been slowly gathered over years. Sometimes the most humble, earlier finds bring me the most joy. It is amazing how carefully they have been protected over the centuries, and how much beauty remains in their spun threads. I am working on an online store (Trouvais-shop.com) that I hope will be a fun visit. A nice little “attic” space with treasures just waiting to be found. Photo above from Christiane de Nicolay-Mazery’s The French Country House. 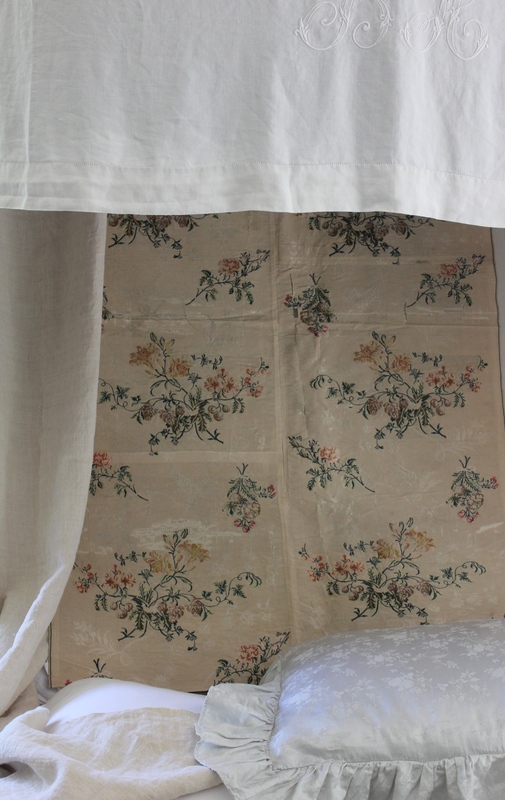 The chapter on French attics has cupboard shelves straining under centuries of folded silks and costume and tissue wrapped shoes. 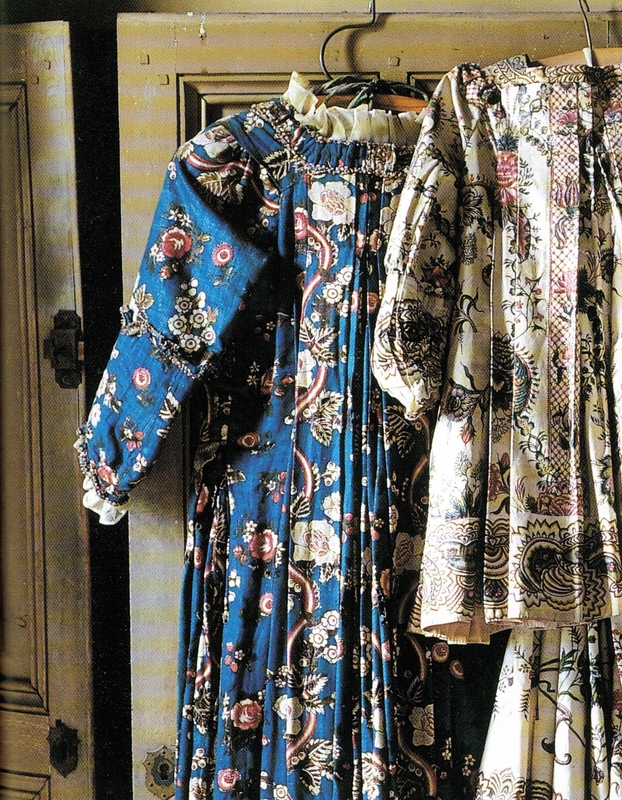 Eighteenth century silk dresses hanging on an armoire in a French attic is just my style! 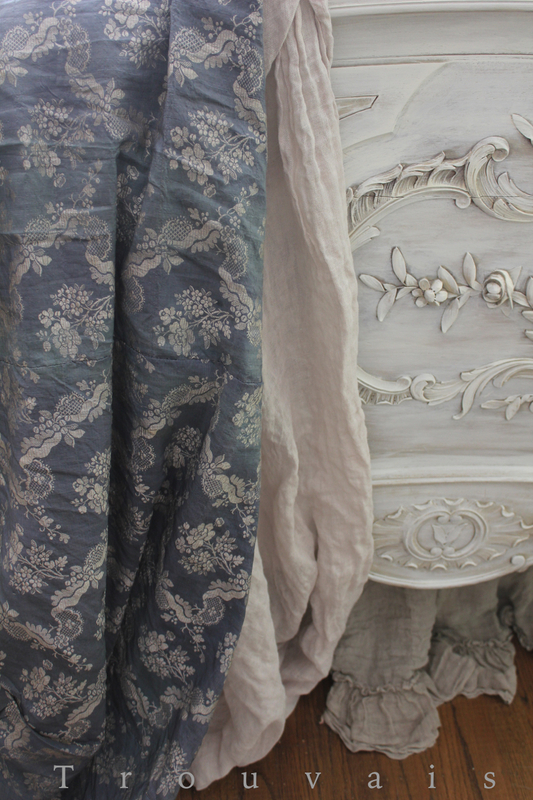 There is nothing like antique textiles to add a bit of story and drama to your home. My eye is caught by pieces that seem to whisper a story. Whether you are a collector yourself, or just enjoy a pretty picture, I will have some beautiful things to share.